For nearly 10 years, Sheree Harkness Canham had prepared for this moment. 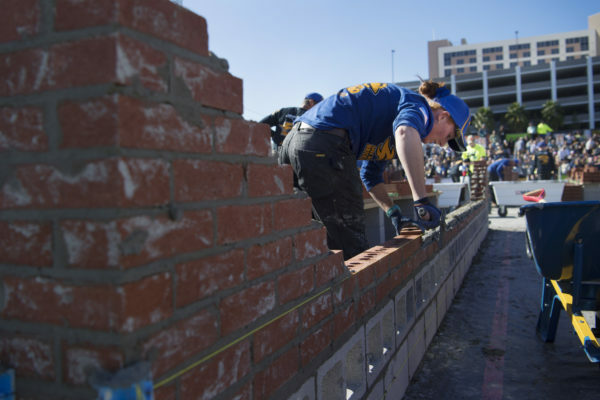 To compete as the only female bricklayer in the Spec Mix Bricklayer 500 World Championship—sometimes called the Super Bowl of masonry—Canham traveled from New Berrima, Australia, to California so she could practice with American brick and mortar. She endured sore muscles and callused hands until she could stack more than 600 blocks into a wall in an hour, a rate that made her a serious contender. Throughout the country, conventions geared toward construction trades have been building a popular feature into their lineups in recent years: sports-like competitions where top talent competes for trophies and titles. And more of these competitions are being opened to the public, giving destinations added exposure from the conventions and events they bring to town. Adrian Diaz, a resident of Baldwin Park, California, and a third-year apprentice from Bricklayers & Allied Craftworkers Local 4, competed this year in the Mason Contractors Association of America’s Masonry Skills Challenge in Las Vegas—another bricklaying contest in which apprentices must build a structure in three hours. Trade associations see the competitions as a way to help develop a workforce that has been shrinking as younger people choose traditional college education over vocational training. Brian Carney, vice-president and general manager of Spec Mix, which has organized the Bricklayer 500 since 2003, has seen interest ramp up in the last five to seven years. 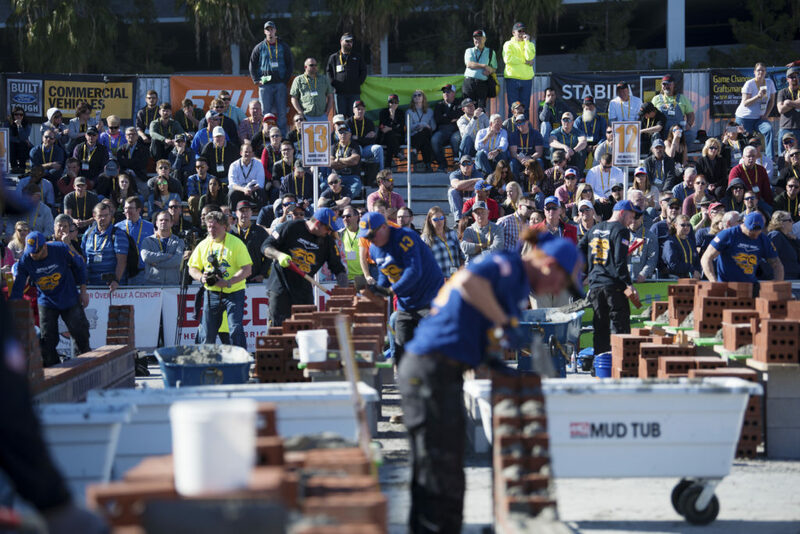 The average age of a bricklayer is 55, but in this year’s competition, 70 percent of the 28 competitors were under the age of 35. Trade programs and schools live­stream the competition for their students, Carney added, and a DVD of the event is sent to more than 450 schools in North America. Year-round, workers such as bricklayers, insulators, pipefitters and plumbers enter dozens of local and regional qualifiers. Many of them are union workers encouraged by their locals. “It shines a light on our craft,” said Gene Clark, president of the International Association of Heat and Frost Insulators and Allied Workers Local 5, during a recent Western States Master Apprenticeship Competition at Hotel Maya in Long Beach, California. The three-day contest challenged workers to lay out, fabricate and insulate a set of materials. The annual competition, held for more than two decades, is staged in a different location every year. The Western States conference, one of a dozen conferences throughout the United States, includes locals from California, Nevada, Colorado, Oregon and Washington. Trade skill competitions are drawing interest not only from convention attendees but also from host communities. Since 2015, the Kentucky Exposition Center in Louisville has hosted Skills­USA, billed as “a virtual Olympics of career skills,” featuring contestants from high schools and technical colleges who have progressed from state-level competitions to regionals and then to this national showdown. 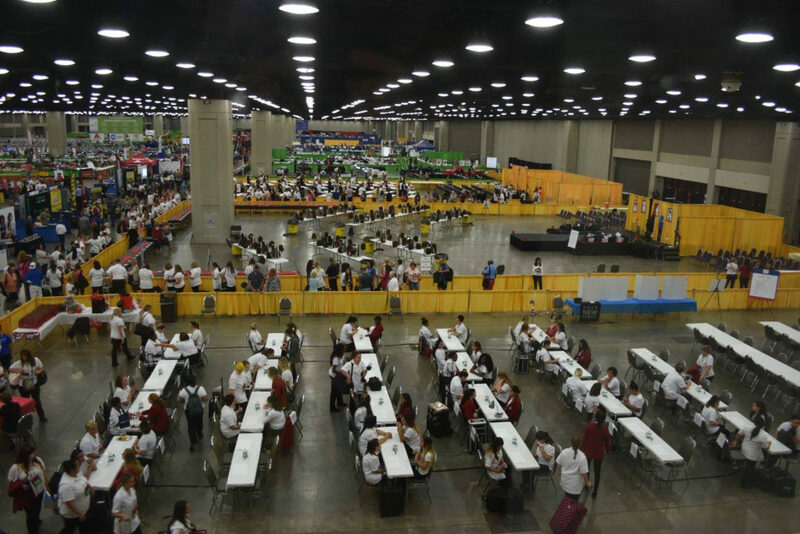 Part of the 54th annual National Leadership and Skills Conference in June, SkillsUSA has the feel of an Olympic event, with a parade of champions and an opening ceremony. 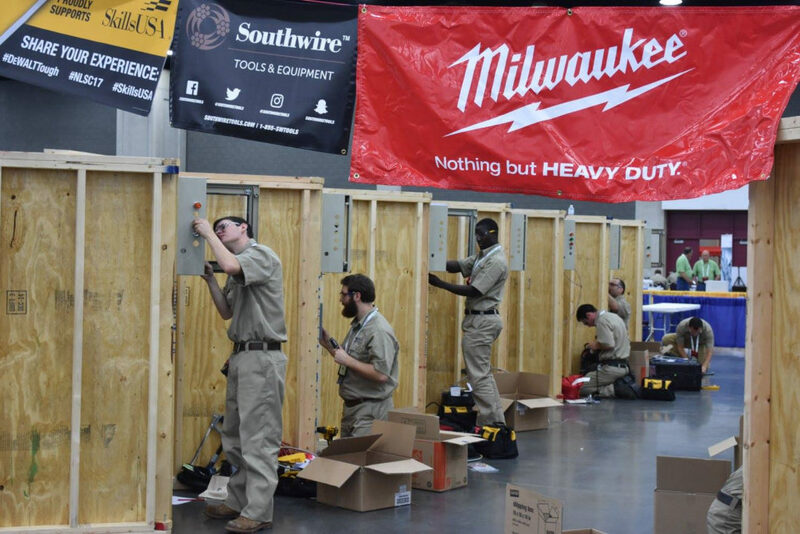 The event draws about 6,000 students competing in 100 contests, including carpentry, electrical construction wiring, HVAC, masonry, plumbing and welding. “It is a show that absolutely hones the skills of young men and women who are entering the skilled trade field of work, so we find that it is sparking a lot of interest in the community because there’s not a good grass-roots feeder system into the skilled trades,” said Dave Patrone, vice-president of client services for Kentucky Venues, which operates the exposition center. Those who attend the competition as spectators tend to be in the fields of education, manufacturing or construction, Patrone said. “They’re folks who are coming to watch not just the competition for the sake of seeing the competition, but also to see and meet young men and women to potentially recruit them as they transition out of school,” he said, adding that a job fair often runs concurrently with the conference. And SkillsUSA—which requires 1.2 million square feet of space—is no slouch as an economic driver, accounting for more than 30,000 room nights and generating more than $26 million in revenue, Patrone said. Las Vegas has also been seeing conventions geared to skilled trades, hosting not only the Spec Mix Bricklayer 500 World Championship and other masonry competitions at the World of Concrete conference, but also the annual National Association of Home Builders Student Competition, a big part of the International Builders’ Show. The NAHB Student Competition challenges young people to use classroom skills to finish a management project or proposal for a real construction company. World of Concrete is one of Las Vegas’ most long-standing and largest trade shows, having been in the city since 1980. Last year, the show attracted nearly 60,000 delegates and used about 1.5 million square feet of convention center space as well as an additional 900,000 square feet of outdoor space, Tull said. And while the majority of trade shows held in Las Vegas are industry-specific and are open only to professionals, competitions such as Bricklayer 500 are one way for the event organizers to reach a broader public, Tull said. But it’s not just the event organizers who benefit. Tull noted that there are positives for the Las Vegas CVA as well. “It not only raises awareness about the masonry industry, but also provides an opportunity for us to share the message of the various conventions that come to Las Vegas and the benefit they have on our community,” she said. As for Canham, the second-generation bricklayer and mother of three was happy to compete, even if she didn’t win the top prize. That honor belonged to David Chavez of Ranch Masonry in Houston, who laid 698 bricks in one hour. Canham was thrilled to beat her personal record of 646 bricks and added that people came over after the competition to say how much they appreciated her and how much they admired her wall. “I was honored by the other ‘brickies’ coming up to me after and shaking my hand; I felt I had their respect,” she said.